As I went through double-digit surgeries, I also got to play soccer with my kids while I wore the XLEG. With any other mobility assistance device, this wouldn’t have been possible. Despite its unsavory reputation in some circles, the Hummer is a beast of metal compared to my Mazda 3. While a Smart car is much easier to parallel park, the Hummer is safer due to its size and weight. Driving a larger vehicle may come across as a false sense of security to some, but my decision was based on wanting a lot more metal between me and my family and a pole, a road median, or another car. If nothing else, my recovery gives me solace at a time when facing surgery continues as a daunting journey. I would say the bright side to my accident is that I can now help other people going through the same or similar experience. I imagined going through my 13 surgeries and severe pain, without my wife to help me out, as a major struggle, especially with two young kids. But if I had to do it on my own, the XLEG would give me the freedom and mobility to do so. While I was going to talk extensively about the differences between a leg brace and the XLEG, this is about so much more. But just to be clear, an orthopedic leg brace is not to be compared to the XLEG, as they serve different purposes. If you Google “leg brace,” you will find many different varieties and styles of braces; these braces look like the XLEG, but leg braces are used to treat or correct larger issues. Also, the XLEG is very inexpensive compared to a $10k+ price tag for a traditional leg brace. The other major difference is that the XLEG is used as non-weight-bearing and leg braces are not. So, what does non-weight-bearing mean? After surgery on your foot or ankle, a doctor often instructs the patient to not put any weight on the floor—not even for a few seconds! No weight when standing or sitting. The XLEG solves this problem by becoming a non-weight-bearing device, meaning the entire weight is transferred to the soft tissue of the thigh. There is no weight-bearing on the foot, ankle, toes, or knee. Bones need time to heal, so if you want to get better fast and not have lengthy mobility issues, it’s best to follow a specialist’s instructions very closely. 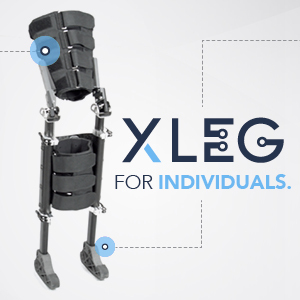 The XLEG is adjustable to fit a wide variety of leg profiles and sizes, whereas orthopedic leg braces are custom built to fit one person and are rarely reused by another individual. My previous post talked about the pain of using crutches, but keep in mind that this is not just a short-term pain. 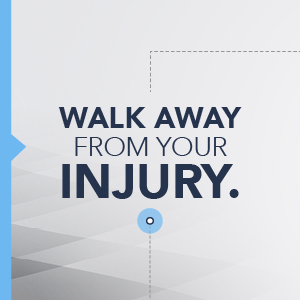 People often suffer a long time with upper arm pain from using crutches. What’s more important to you? A cute car that you can park anywhere or a reliable vehicle that will get you safely from A to B? Hopefully, you won’t have to use the XLEG every day for years like I did—but if you do, it makes life that much easier. 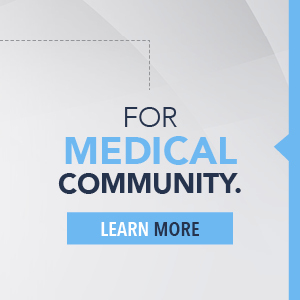 The XLEG is a safe, pain-free, hands-free mobility solution. 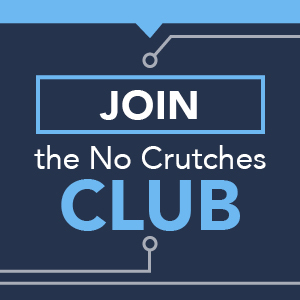 Join the No Crutches Club for updates on my journey and the XLEG.